This item occasionally develops some condensation. Why? 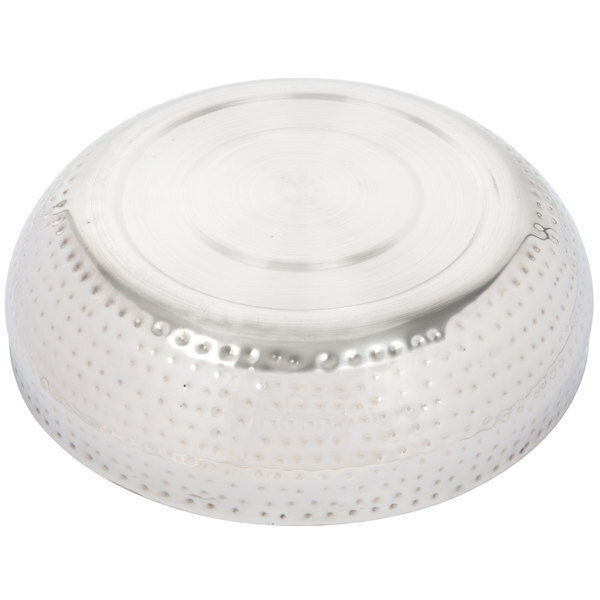 Although this item has a double-wall construction, in certain climates this product will develop what some describe as a fog, but it doesn’t actually bead up or drip. 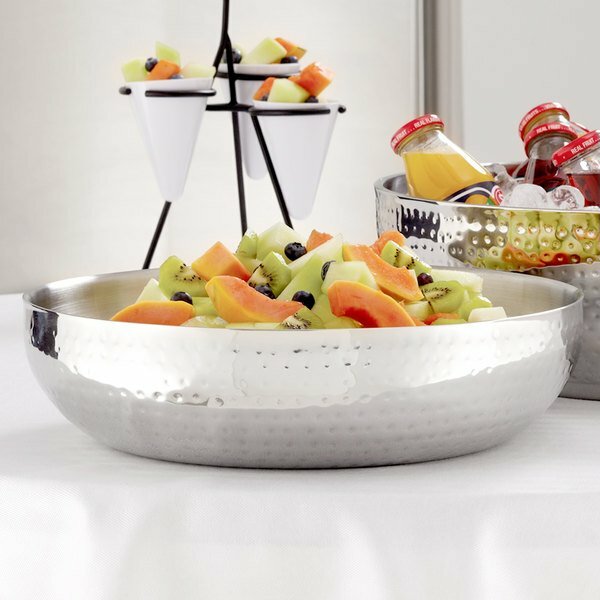 Sturdy and versatile, the American Metalcraft HMDWB14 double wall hammered bowl combines an eye-catching hammered steel design with a large and durable display space. 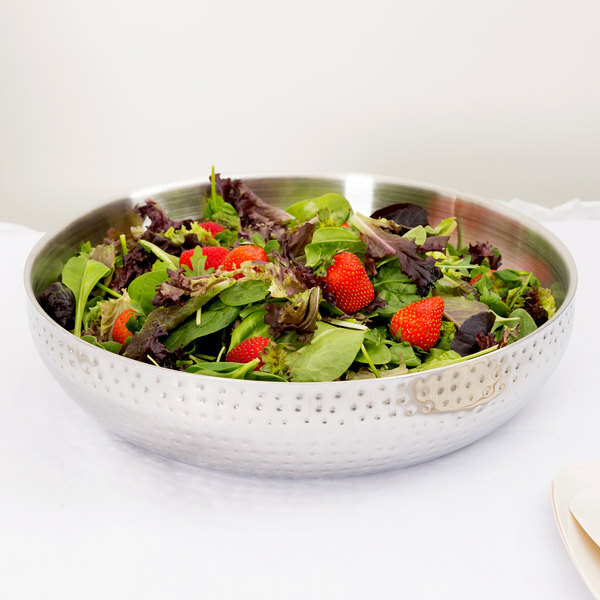 Ideal for buffets, catered events or parties, this bowl is perfect for displaying beverages in ice, appetizers, salads, salads, or fresh produce. 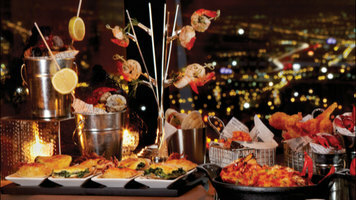 Yet its uses can be extended to displaying floating candle votive centerpieces and colorful fruit arrangements to help brighten up any table setting. 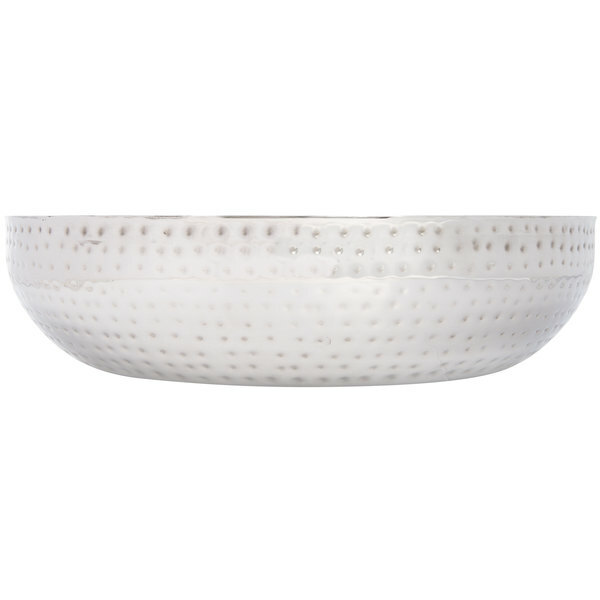 The double wall, insulating body reduces condensation and helps keep the bowl's contents cold. 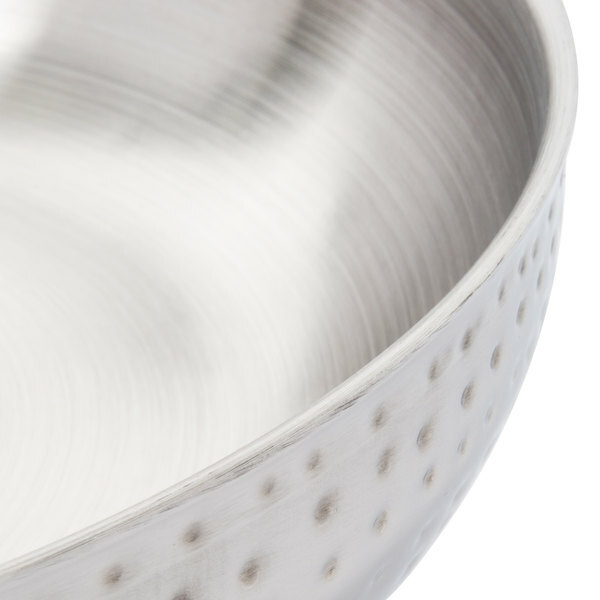 Each bowl is uniquely made by hammering out a piece of stainless steel, meaning that no two bowls are exactly the same. 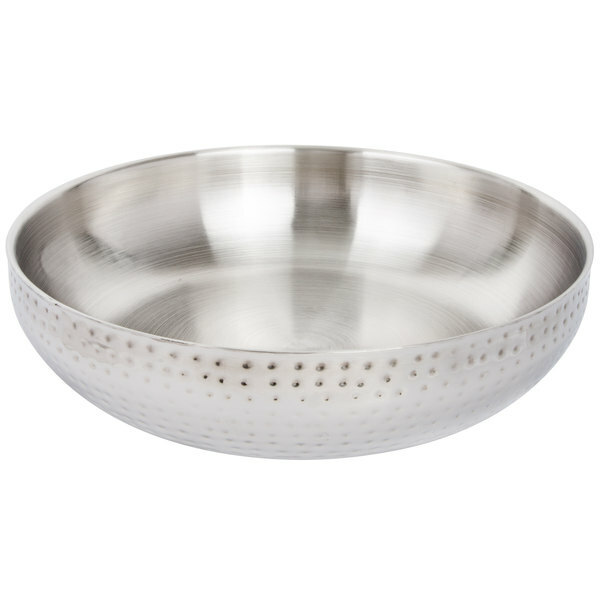 Great large bowl that can be used to hold salads or many different snack items. 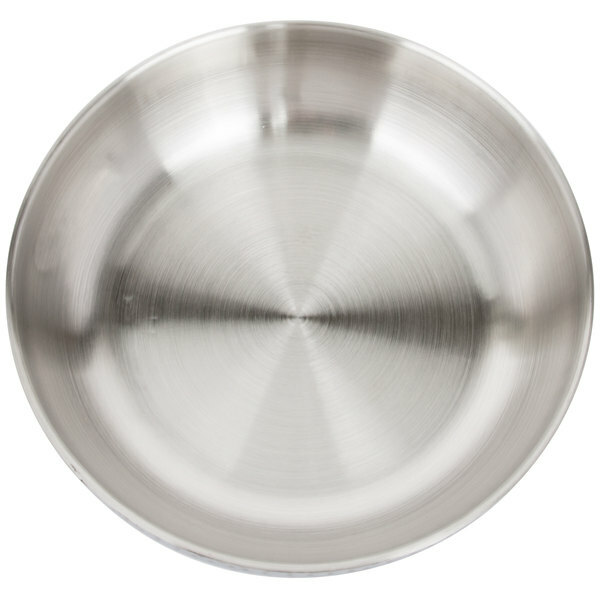 I would not recommend putting liquids since there is not beveled edge they can splash out easily.